In the previous articles we discussed about DC generator working, Voltage equation of dc generator. Efficiency is a very important specification of any type of electrical machine. When we talk about efficiency, losses comes into the picture. 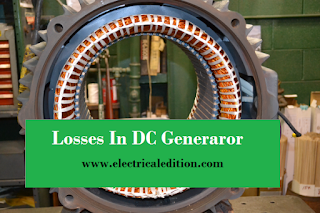 DC generator efficiency can be calculated by finding the total losses in it. There are various losses in DC generator. We classified DC generator losses into 3 types. The above 3 losses are primary losses in any type of electrical machine except in transformer. In transformer there are no rotating parts so no mechanical losses. Let us have a brief discussion on each and every loss in dc generator. Copper losses occur in dc generator when current passes through conductors of armature and field. Due the resistive property of conductors some amount of power wasted in the form of heat. Most of the time we neglect copper losses of dc generator filed, because the amount of current through the field is too low [Copper losses=I²R, I² will be negligible if I is too small]. Note : EgIa is the power output from armature. 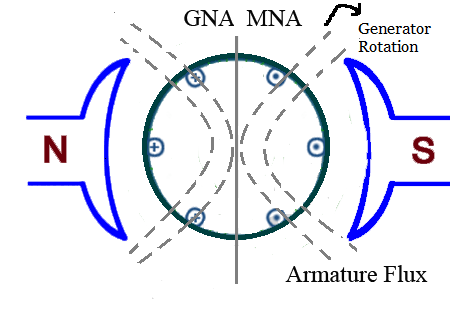 Where Ra = resistance of armature and interpoles and series field winding etc. This loss is about 30 to 40% of full-load losses. (i) Field copper loss. 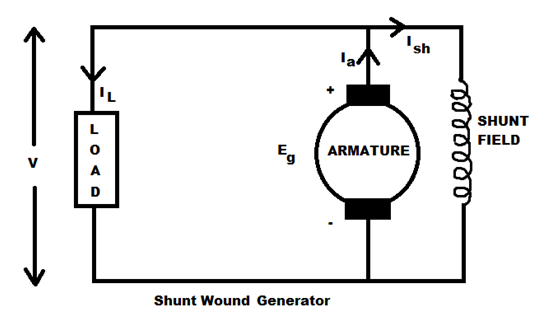 In the case of shunt generators, it is practically constant and Ish² Rsh (or VIsh). 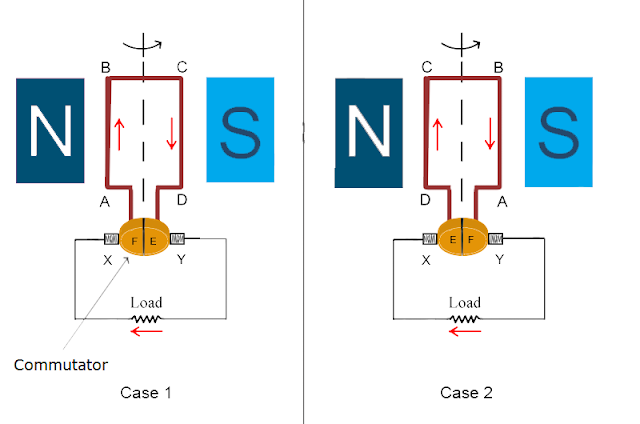 In the case of series generator, it is = Ise²Rse where Rse is resistance of the series field winding. This loss is about 20 to 30% of F.L. losses. (ii) The loss due to brush contact resistance. It is usually included in the armature copper loss. Note: There’s additionally brush contact loss attributable to brush contact resistance (i.e., resistance in the middle of the surface of brush and commutator). This loss is mostly enclosed in armature copper loss. 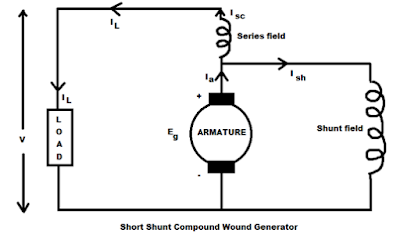 Hysteresis losses or Magnetic losses occur due to demagnetization of armature core. This losses are constant unless until frequency changes. Eddy current losses are due to circular currents in the armature core. We know armature core is also a conductor, when magnetic flux cuts it, EMF will induce in the core, due to its closed path currents will flow. This currents causes eddy current losses. 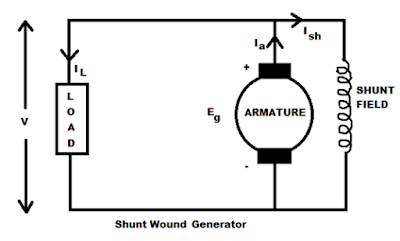 These losses are practically constant for shunt and compound-wound generators, because in their case, field current is approximately constant. Both these losses total up to about 20 to 30% of F.L. losses. We know generator is a rotating machine it consist of friction loss at bearings and commutator and air-friction or windage loss of rotating armature. We can’t neglect this losses because they always present , These are about 10 to 20% of F.L. Losses. Usually, magnetic and mechanical losses are collectively known as Stray Losses. These are also known as rotational losses for obvious reasons. Total loss = armature copper loss + Wc = Ia²Ra + Wc = (I + Ish)²Ra + Wc. 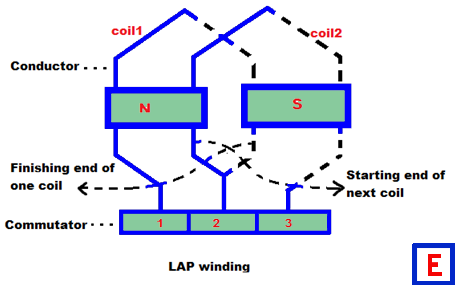 Armature Cu loss Ia²Ra is known as variable loss because it varies with the load current. Poor commutation and sparking are caused by distortion of main field flux. 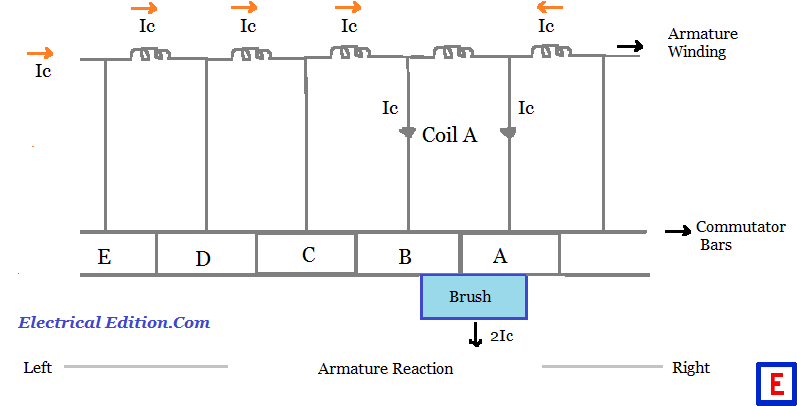 The sparking at the brushes results in poor commutation due to inability of the current in the short circuited coil to reverse completely by the end of short circuit period (Usually of the order of 1/500). The main reason to delay this quick reversal is due to the production of self induced e.m.f in the coil undergoing commutation. 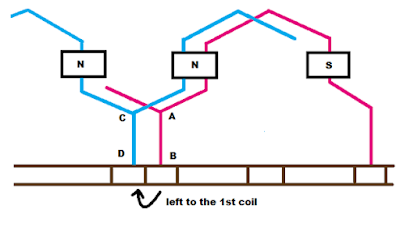 This self induced e.m.f in the coil undergoing commutation is known as reactance voltage which is of Small magnitude and produces a large current through the coil whose resistance is less due to short circuit. If this voltage exceeds more than 30 or 40 V, a spark spreads around the commutator in the form of ring fire. Sparking results in overheating at the commutator. This poor commutation may be caused by mechanical or electrical condition. The mechanical conditions are uneven commutator surface, non-uniform brush pressure vibration of brushes in the holder. The electrical conditions include an increase in the voltage between the commutator segments an increase in the current density at the trailing edge of the brush etc. Read:How to overcome poor commutation? By using interpoles we can improve the commutation i.e., making the current in the short circuited coil to attain its full value in the reverse direction by the end of short circuit period. 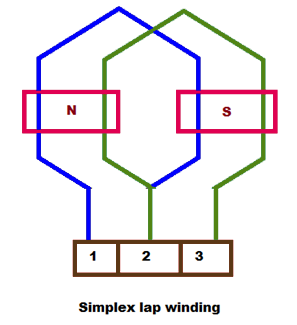 Interpoles or compoles are small poles fixed to the yoke and are placed in between the main poles. 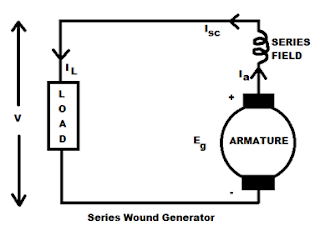 These poles are connected in series with the armature, so that they carry full armature current. Their polarity is same as that of the main pole. They induce an e.m.f. in the coil under commutation known as commutating e.m.f or reversing e.m.f (reversal of current). This reversing emf neutralizes the reactance emf thereby making commutation spark less. 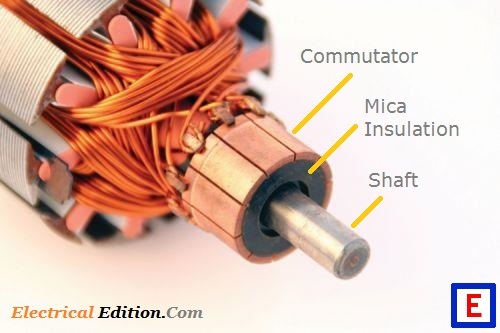 This is post about commutation in dc generator and dc motor. 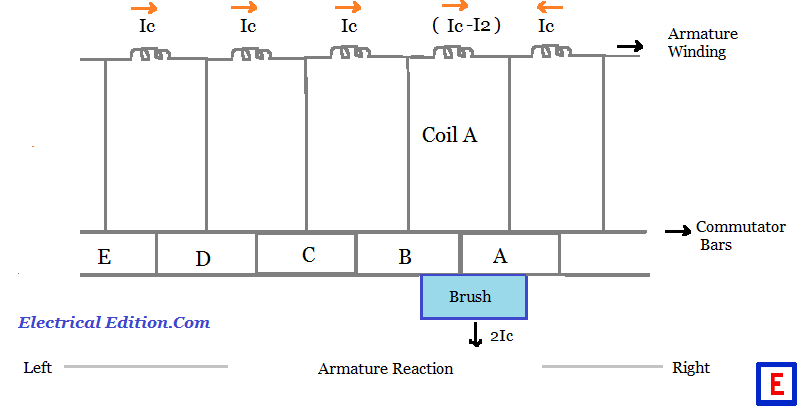 The reversal of current in the armature winding by means of commutator bar and brushes is known as commutation process. 2 It maintains rotor magnetomotive force stationary in space. 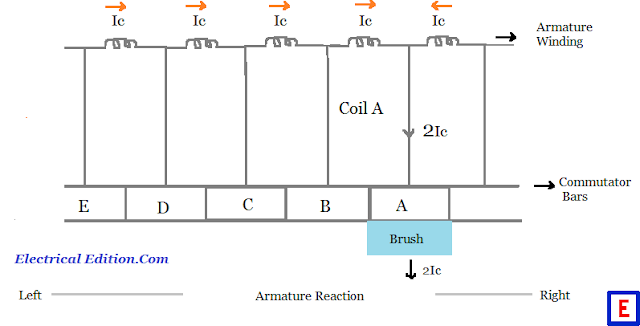 Commutation process in DC machine can be explained by assuming commutator bar width is equal to brush width and insulation between the commutator bar is of negligible thickness. 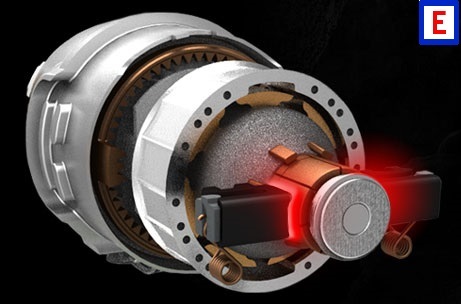 For understanding the physical concept behind the process of communication, let us consider, five instants of commutator working with respect to brushes. The armature of the considered D.C, machine is rotating from left to right. 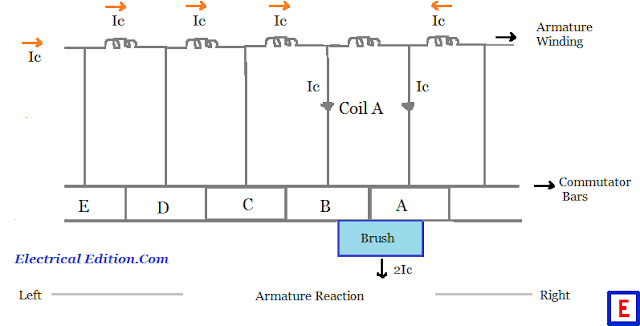 At the first instant, the brush is completely situated on commutator bar A and it is delivering 2Ic (current) current Ic flows through coil A from left to right as shown in below figure . At the second instant, when the brush comes in contact' with bar 2, coil A gets short circuited. If the current from bar B to brush is I2 then current in coil A changes from 2Ic to (Ic — I2). 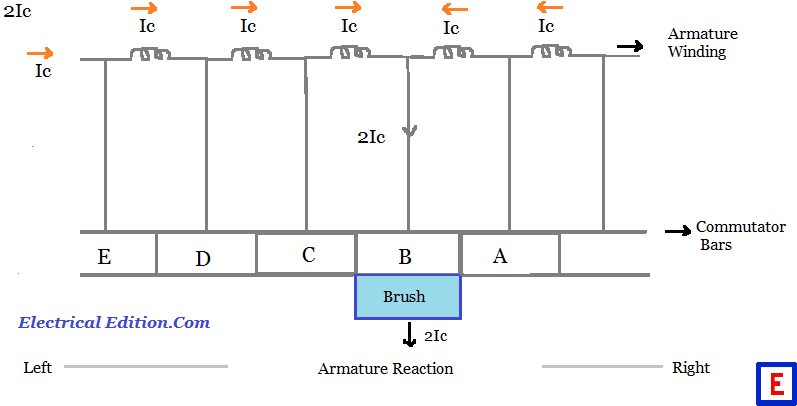 In order to produce output current from brush as 2Ic the commutator bar delivers 2Ic — I2 current to the brush as shown in below figure. At the third instant, when the brush occupies the equal area of bar A and bar B, now coil A carries no current, bar A and bar B delivers the same amount of current Ic to the brush as shown in below figure. At the fourth instant, when the armature and commutator bar rotation increases, the brush occupies the large area of bar B. Area of contact between brush and bar decreases thus decreasing the current in bar A to ie.,During this instant, coil A carries current Ic - I1 from right to left. Here, bar B carries (2Ic-I1) current so that brush delivers the output current of 2Ic as shown in the below figure. 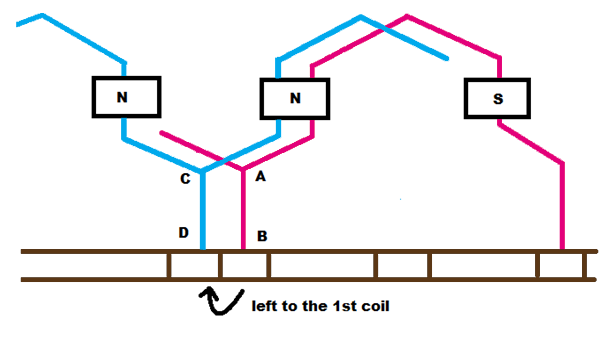 At the fifth instant, when brush occupies the complete area of bar B, now the coil A is open circuited and therefore carries current from right to left as shown in below figure. It is defined as the time taken by coil A to change current Ic from +Ic to -Ic. As D.C. generator consist of two brushes and they are placed on opposite sides of commutator each brush slides along one half of commutator and then follows the other half forming a loop. During the instant when loop reaches the point of rotation the voltage induced reverses the polarity, the brush shifts from one commutator segment of other therefore indicating that one brush is positive with respect to others. The voltage between the brushes fluctuates in amplitude between ‘0’ and maximum value. The process of commutation in DC. motor is same as DC. generator but the only difference is the power is transferred from terminal to the armature by means of brushes and commutator. 1. Poor mechanical conditions like uneven surface of commutators, vibrations of brushes etc. 2. Poor electrical conditions such as increased voltage between the bars of commutators, increase in the current density of brushes etc. 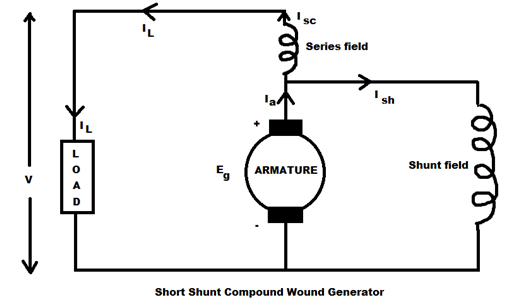 The effect of magnetic field set up by the armature current on the distribution of flux under the main poles of a DC generator or a DC motor is known as armature reaction. 1. Distortion of the main field flux wave along the air gap periphery. 2. 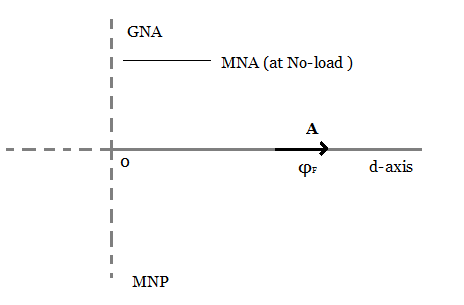 Net reduction in the main field flux per pole. Reduction in main field flux per pole reduces the generated voltage and torque, whereas distortion of main field flux gives three harmful effects. They are increase in iron losses, poor commutation and sparking. Consider a two-pole machine as shown in figure [in graph] at no-load i.e., having no armature currents. The main field flux is shown on a horizontal phasor OA which is produced by field m.m.f (IfNf). 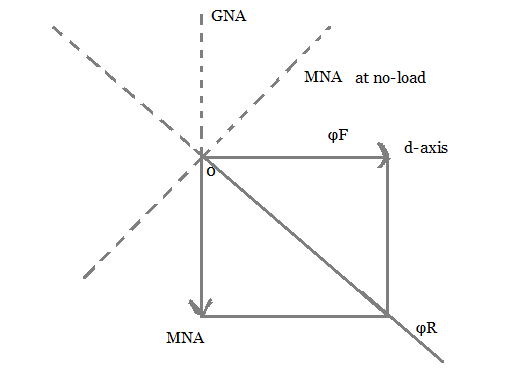 The geometrical neutral plane and the magnetic neutral plane are coincident at no-load, i.e., magnetic lines of force intersect the MNA at right angles. 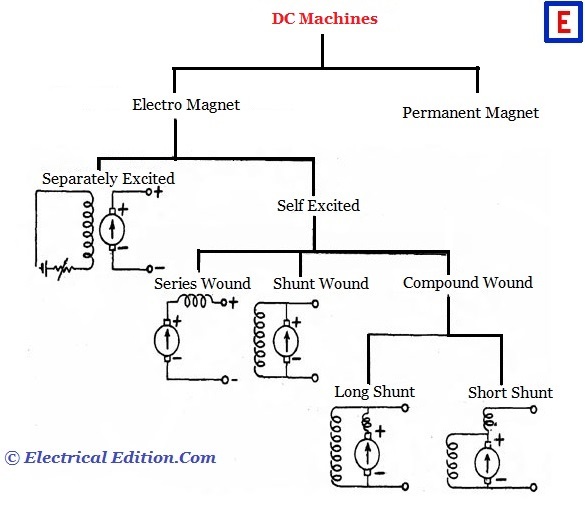 If D.C machine is loaded then the armature winding receives the current. These currents are shown in figure by dots under south pole and by crosses under north pole. These currents setup armature flux. Armature flux (φa)is shown by a vertical phasor OB.φa is produced by armature m.m.f IaNa. 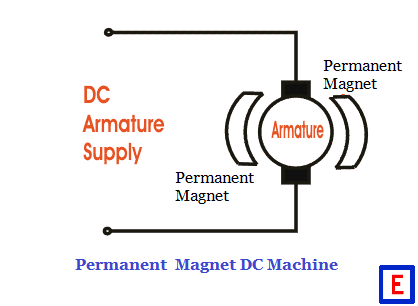 If the D.C machine is working as generator, then its armature must be driven clockwise by prime mover and anti-clockwise for motoring operation. 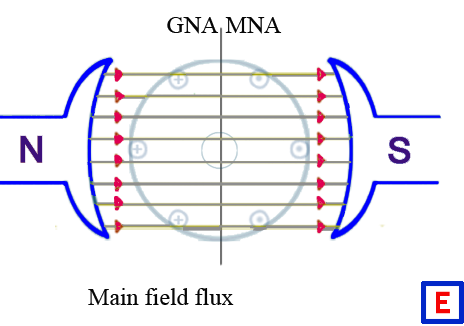 From above figure it is seen that φa is perpendicular to φf i.e., the path of armature flux crosses the path of main field flux.This effect is known as cross magnetizing effect. 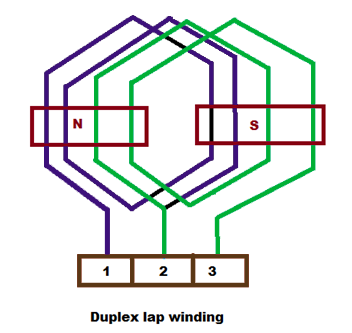 If the current is flowing in both the windings, the resultant flux distribution is obtained by super imposing the two fluxes as shown in below figure. From above, it is clear that armature flux aids the main field flux at upper end of north pole and at lower end of south pole. The DC machine practically gets saturated and the strengthening effect is very low as compared with weakening effect and the resultant flux get decreased from its no-load value. 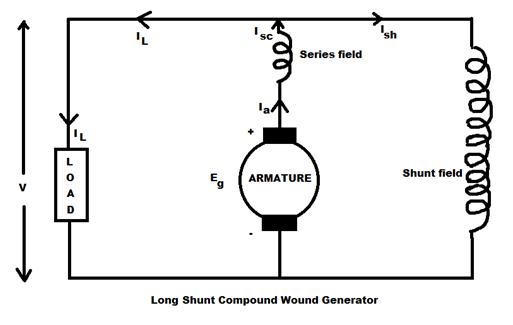 This effect on armature flux is called demagnetizing effect. This effect reduces the total flux/pole and found to be 1 to 5% from Its no-load to full—load. How To Reduce Armature Reaction? Usually, no methods employed for small machines (up to few kilowatts) to reduce the armature reaction. 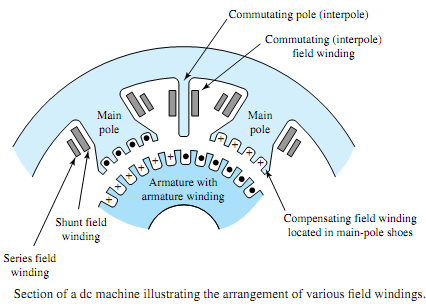 But for large DC machines, interpoles and compensating winding are used to reduce armature reaction. By flattening the pole faces slightly so that the air gap is longer at the pole tips rather than at the center of the pole results in increase in reluctance of the pole tips and the magnitude of armature cross flux is reduced and the distortion of the resultant flux density wave is minimized. This can be achieved by using chamfered or eccentric pole face. To reduce armature cross flux without reducing the a main field flux, it is required to create more reluctance in the path of armature flux. This is done by using field pole laminations. The reluctance offered to armature flux is more pronounced due to four air gap openings introduced in the path of cross flux. During the design of DC machine, it should be ensured that main field m.m.f should be strong when compared to full load armature m.m.f. 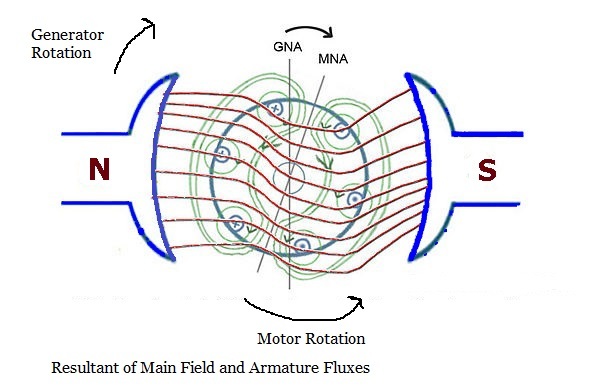 The distortion produced by armature cross flux can be minimized by increasing the ratio of main field m.m.f to the full load armature m.m.f. 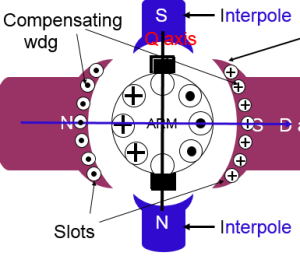 Interpoles are small poles placed in between the main poles. 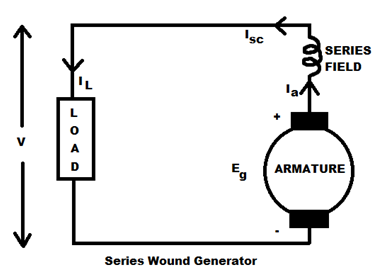 These are connected in series with armature,so that they carry armature current. The e.m.f induced by the interpoles neutralizes the effect of armature m.m.f in the intelpolar region,. thus making commutation sparkless. 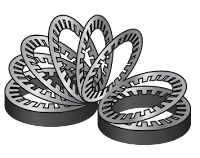 A compensating winding is an auxiliary winding embedded in slots located in the faces of main poles. 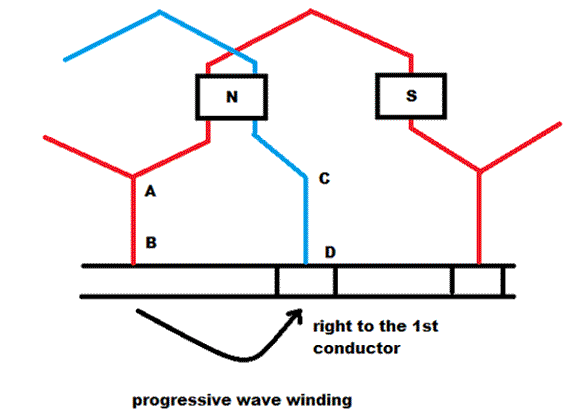 This winding is connected in series with armature in such a manner so that the direction of current flowing in this winding should be quite opposite to the direction of current flowing in the armature conductor the m.m.f produced by the compensating winding should be equal to the m.m.f produced by the armature conductors. To maintain a uniform distribution of flux in the main poles and to neutralize the effect of armature reaction. compensating windings are provided. This winding adds cost of the machine and doubles the armature copper loss. but it makes the machine to withstand the most violent fluctuations of load that is applied to it.